A head on crash on highway 54 killed three people Wednesday evening. The crash killed 20 year old Maggie Michele Hall of Elkhart, 24 year old Carl Allen Hall of Elkhart, and 29 year old Hector Rene Gonzalez of Wichita. They were taken to Western Plains Medical Complex in Dodge City and pronounced dead at about 9:30 Wednesday night. They were in the same vehicle which was struck head on near Bloom. 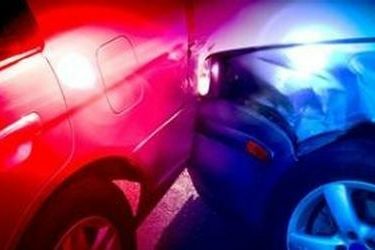 The Kansas Highway Patrol reports the crash occurred at about 6 Wednesday evening just east of Bloom in Ford County on 54. Thirty-six year old Juan Guadalupe Lopez of Worthington, Minnesota was driving west on 54 and attempted to pass multiple semis. His car struck Maggie Michele Hall’s east bound car head on. Lopez and passengers 32 year old Yvonne Morales of El Paso, Texas, four year old Anna Morales of El Paso, and two year old Adrian Morales of El Paso were injured. The two children were taken to Western Plains Medical Complex in Dodge City. Lopez and Yvonne Morales were taken to Wesley Medical Center in Wichita by Life Flight with injuries.